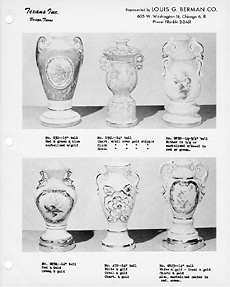 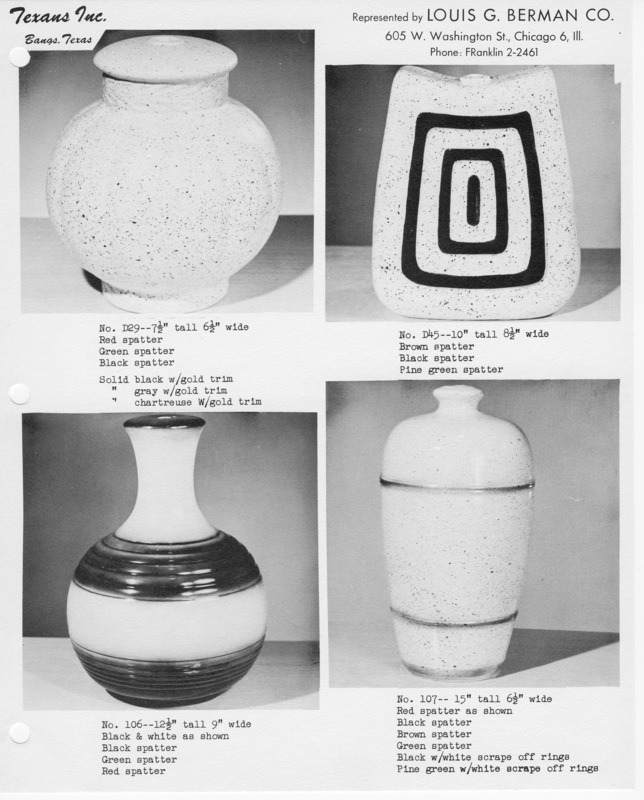 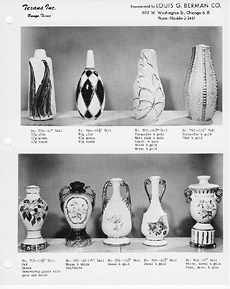 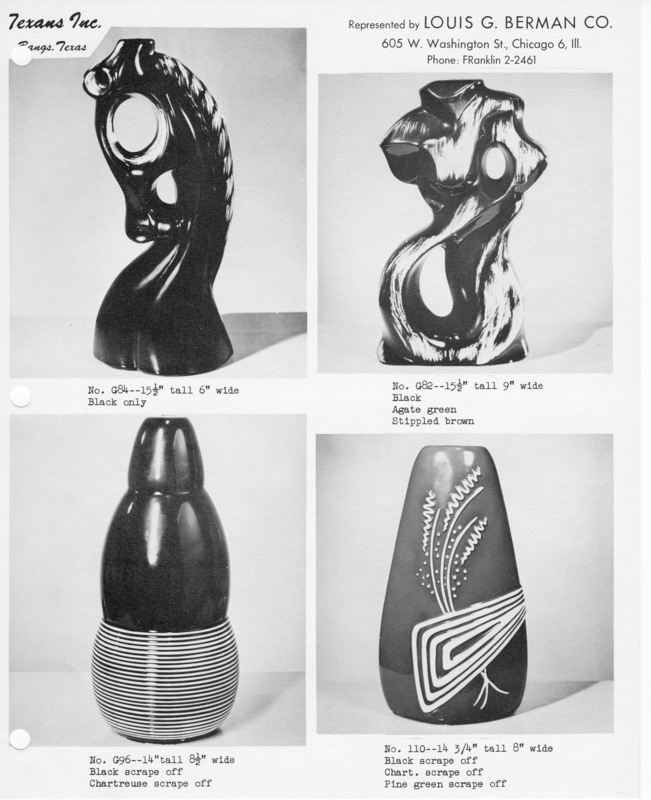 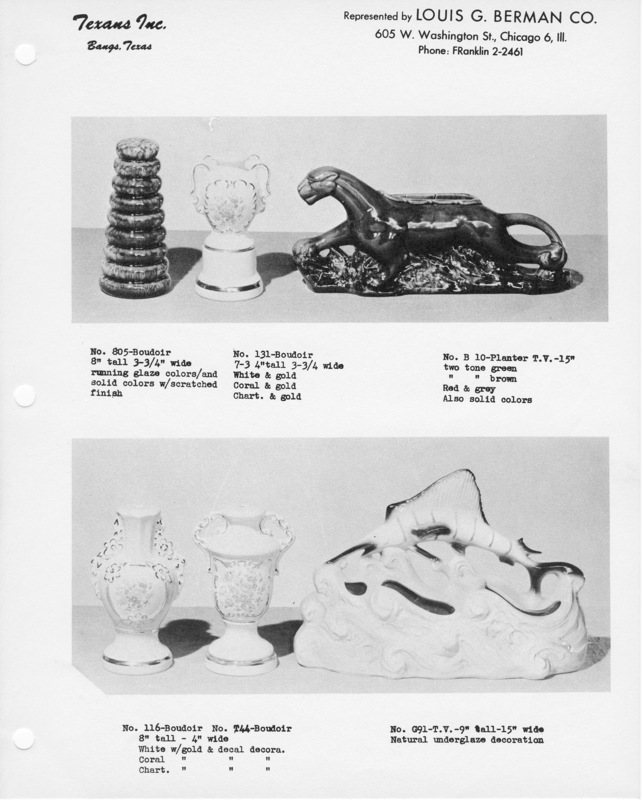 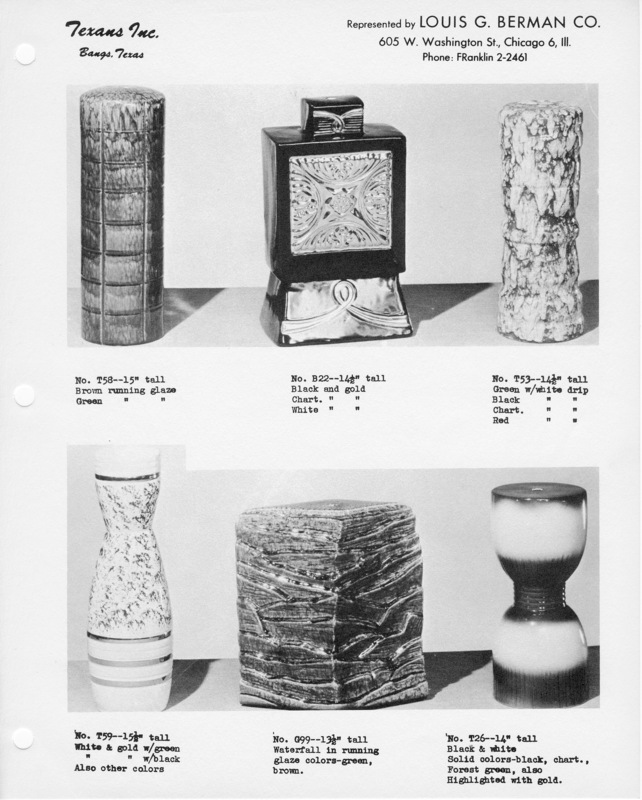 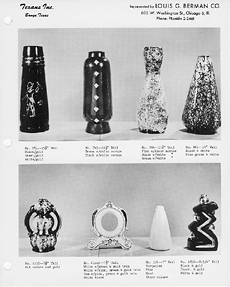 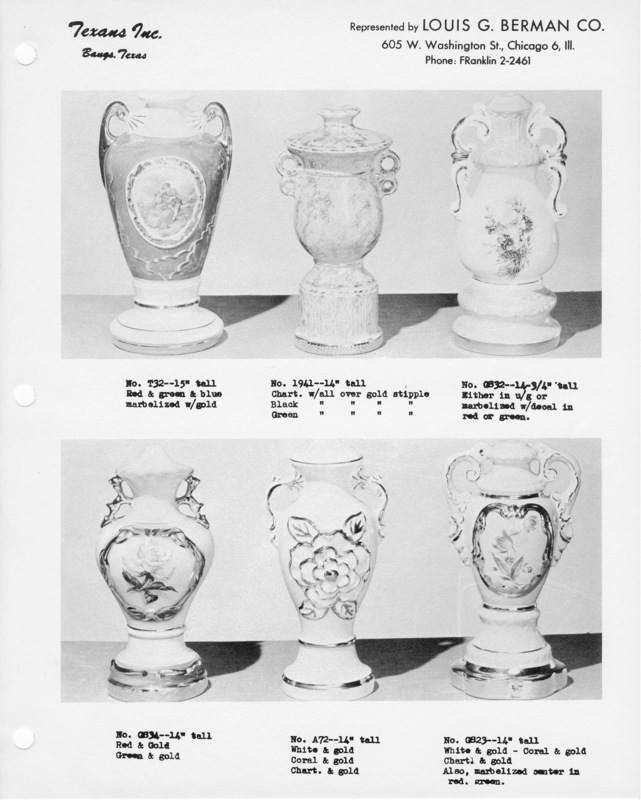 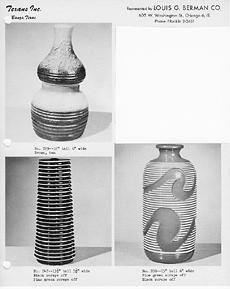 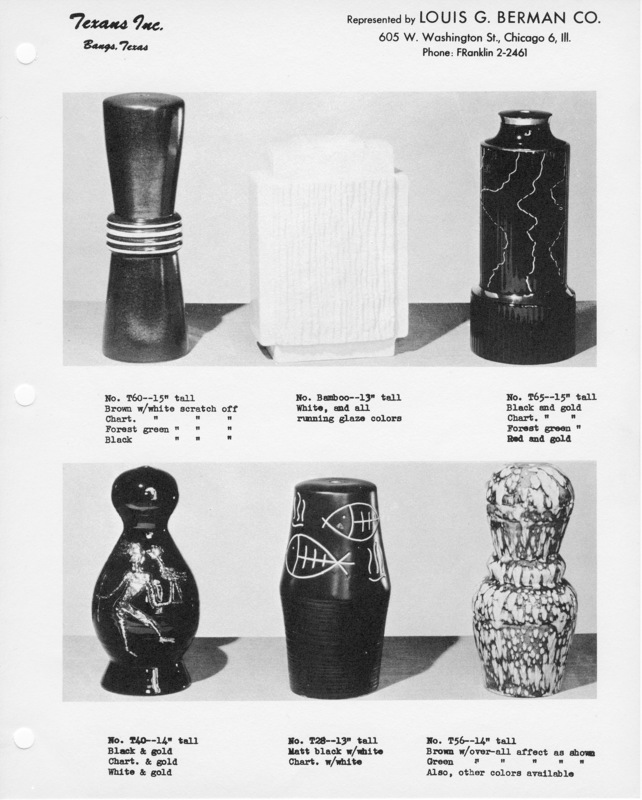 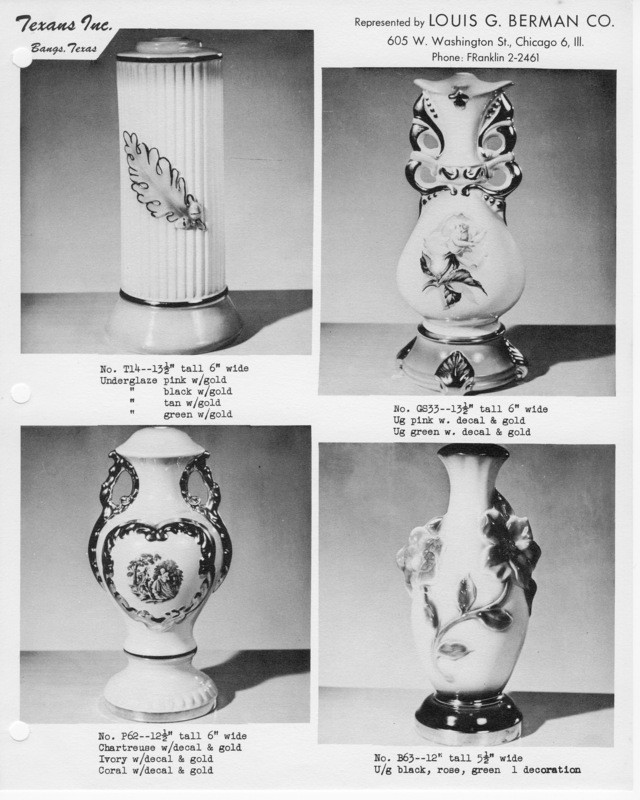 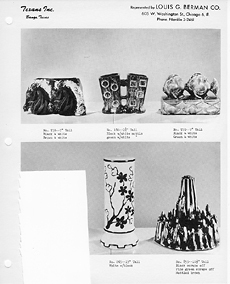 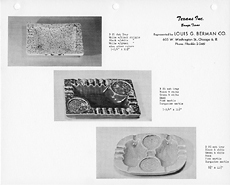 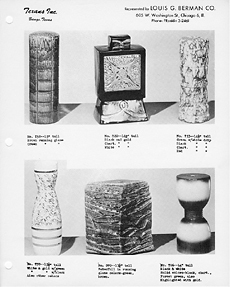 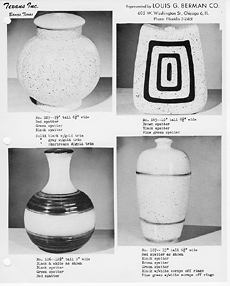 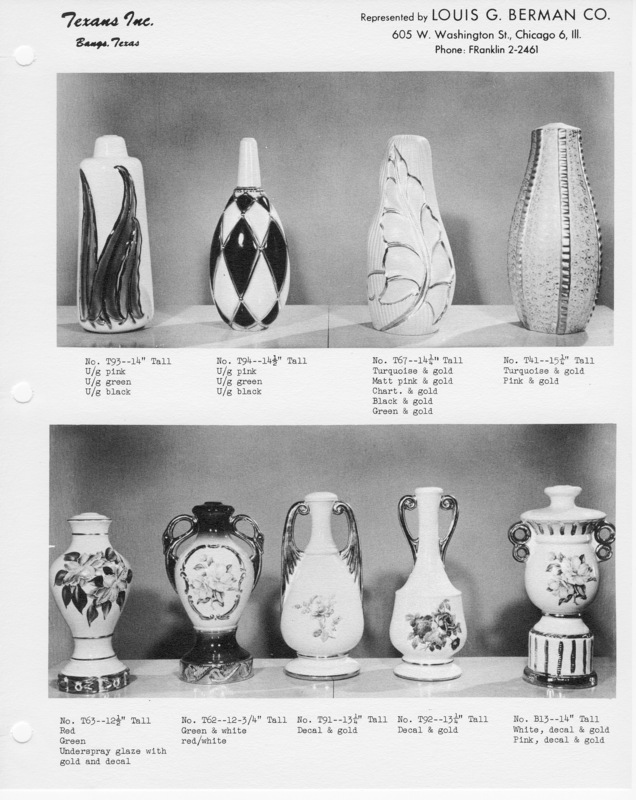 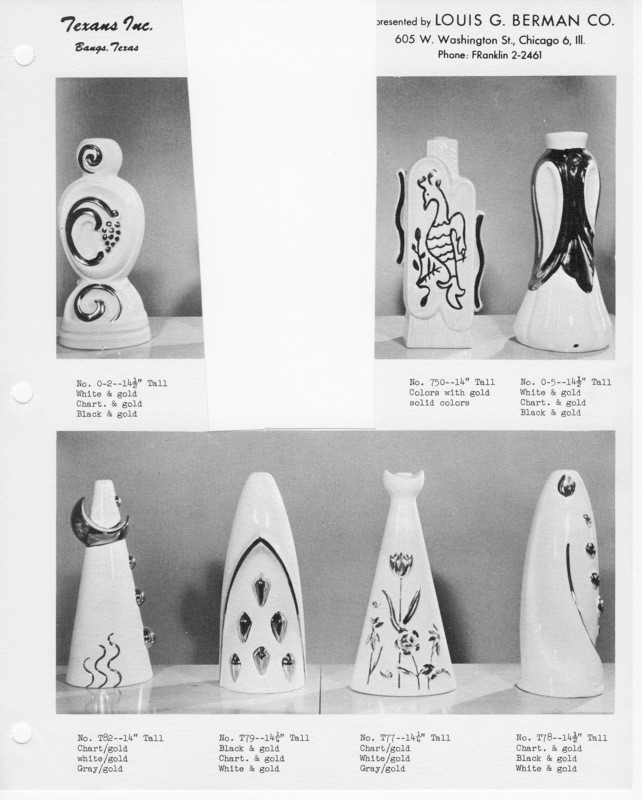 The bottom four lamps are among the earliest designs made for Texans by Howard Kron, and are dated 1955. 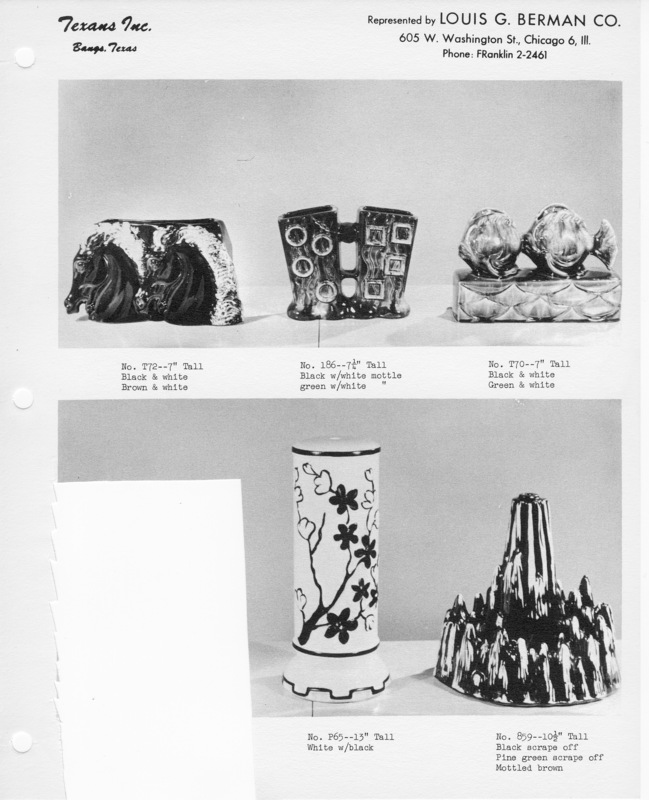 A couple of great "pre-Kron" TV lamps on this page. 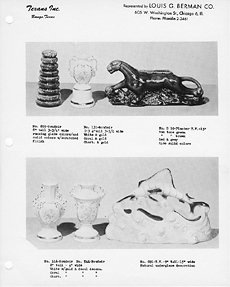 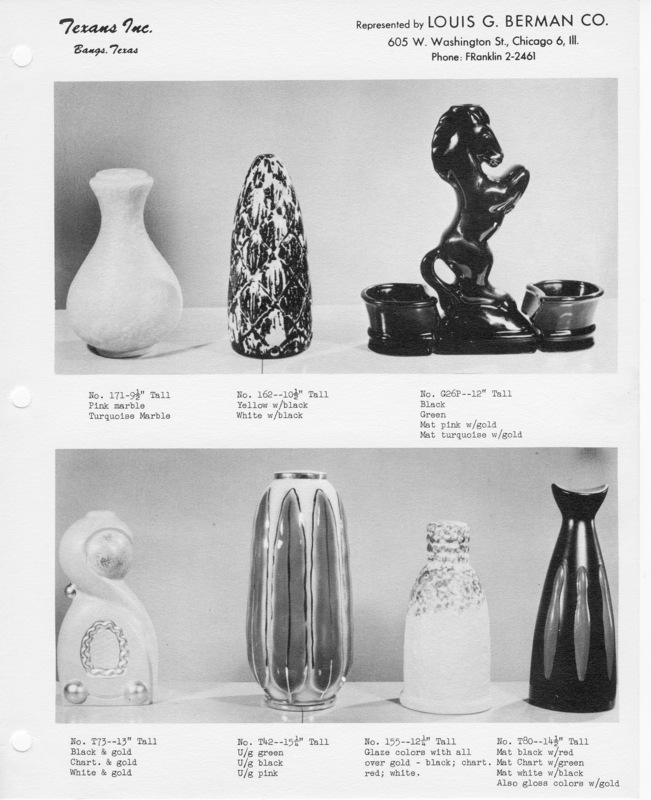 The panther is identical to one made by American Art Potteries in Morton, Illinois. 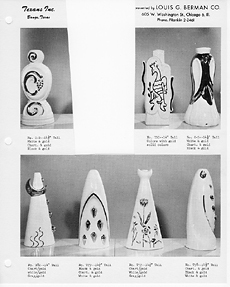 These are representative of the earliest Texans lamps, and were designs brought from Mayfield, KY. 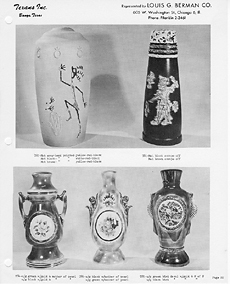 The top two lamps are Bob Hawn designs, and are marked as such.